Airport Taxi from Schiphol, Amsterdam Schipholtaxi. Cheap rates! Cheap taxi from Amsterdam airport. Flat rates for taxi, minivans, bus and shuttle. Excellent Schipholtaxi service and flat rates. The people behind Goedkoopnaarschiphol.nl ( Cheap taxi amsterdam airport ) have been in the industry for over 80 years. The customer is central to our service and this is why we offer many types of airport taxis to cover all your needs. Below you can easily look up your questions related to our Schiphol Airport Taxi service. We aim to provide you as much information as possible, ranging from how to order Airport transport to frequently asked questions about our service. 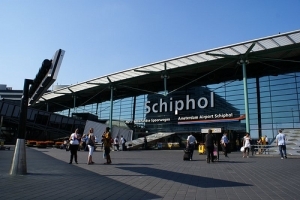 Schiphol is the standard location, so give the postal code of the house or hotel ! You can order an Airport Taxi with us at no risk, and you can cancel a booking provided you give us 24 hours advance notice. All our rates are based on standard private transport, you also have a clean car and professional driver for the ride to and from the airport. These taxis vary in brand and include the new Kia Sportage, Chrysler Voyager Grande, Opel and many others. Most taxis are equipped with a luxury package, allowing you to relax while being transported to and from Schiphol Airport. If you prefer an upgrade, then we can offer you a Mercedes E-Class and S-Class and also BMW 5 and 7 Series. These rates can be provided on request. A ride ordered by this website assures you that you are definitely not paying too much. You pay no call-out charges and no detour fees, for example if the taxi is in a traffic jam. Just a simple all-in fixed amount Airport Service, you instantly know what the costs are, day and night, seven days a week! Taxis from the taxi stand are likely to be more expensive. You will have to wait and see what the price is at the end of the journey. This depends on the meter which still runs even when in a traffic jam. 3.3 Group Transportation by taxi, conferences etc. 5.1 Get more people on the go by taxi, friends, family etc. 5.3 Waiting at the airport, how does that work? 5.4 What time do the taxi stand with you? 5.5 How long ahead should I order a Schiphol Airport taxi? The rates for carriage to or from the airport, you can calculate at the top of this page, through your zip code. Simply enter your zip code, means of transport and indicate the number of people who are taking the trip to Schiphol. Our rates for Airport taxi are fixed and apply 24 hours a day 7 days a week. We offer you lower rates than regular taxis. The further you travel, the lower the rate per kilometre. If you have ordered a return you are charged for both trips with the taxi driver. If you have a single ride, you are charged upon arrival at the destination. Payment can be cash, by credit card or advance payment by bank. Companies can have an account. Ordering to or from Schiphol is basically very simple. At the top of this page, enter your zip code first, so the zip code where the taxi leaves such as house, hotel, conference center etc. If you need a taxi from the airport to an address, simply fill in the same zip code of your home, hotel etc. Whether you need transportation to or from Schiphol, Amsterdam Airport Schiphol is a fixture in our system. Then enter the number of people and click on calculate. If you order an airport Schiphol Transportation with us, you can decide what time you want to be picked up by the taxi. When ordering on the website, you can simply enter the departure time from home. If you have a European flight, consider that the airlines want you to be present two hours before at the airport. Are you flying internationally for example to America, then you will need to be three hours in advance. Add this to the time and takes into account any files on the go. If you want to order a airport taxi while you still have no ticket, you can just fill out a fictitious time, and please inform us of the correct time when you have this information. If you are arriving at Amsterdam Schiphol Airport and you would like to order a Schiphol Airport taxi to your destination, then we need all the necessary information regarding your flight, such as arrival dates and time and the correct flight number. Please make sure that you provide the correct information to us. It does happen that people pass on the departure date October 5th at 23:00 when they arrive at the airport on the 6th of October at 04:00. So it is very important that the information is correctly provided. Another common mistake is that the flight number of the outward journey is provided instead of the inward journey. Upon arrival at Schiphol, about 15 minutes after landing you will be called by our taxi driver. You immediately will have his number and can call him back after collecting your luggage. Our driver can then take you to your destination. Ordering a Schiphol Airport taxi for a return trip is usually cheaper than another with a single trip. During ordering you can fill in your data such as name, address and flight numbers. For any further information, please refer to 1.4 and 1.5. Our standard Schiphol taxi service is of course with clean taxis and professional drivers. Our cars we have committed to our taxi service vary in brands such as Opel, Kia, Chrysler Voyager etc. Almost all cars are already equipped with an upgraded version rathen than standard and have air conditioning. Drivers are often dressed in suits, but can also be in casual attire. Basically you just get a decent car and driver. 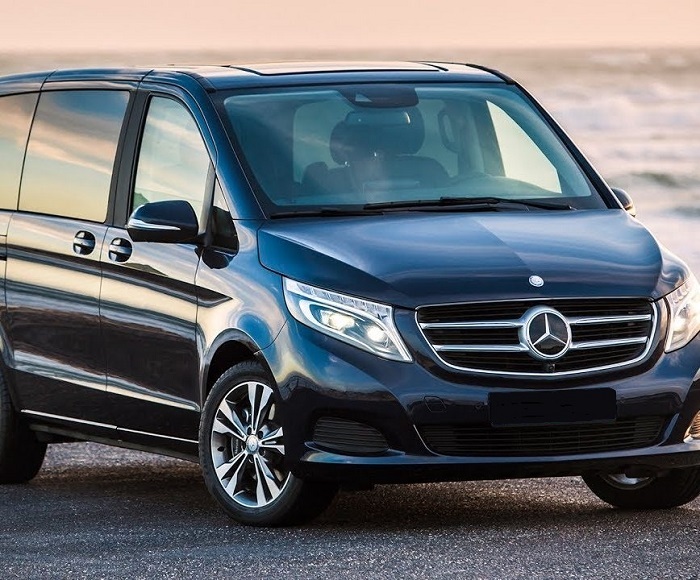 Would you prefer an upgrade rather than the standard service, for example, for business transport, then we can also use different types of Mercedes, BMW, Audi etc. for you on request. Of course, the corresponding taxi drivers will be smartly dressed in suit and tie, able to speak English and taxis are in pristine condition. Our limo service includes a Mercedes S-Class with English speaking driver. This limo is perfect for transporting important guests such as directors, artists who should be transported with a limo taxi. But this limo can also be used at weddings . For transportation you can also need a taxibus. Beyond our MPV’s, we have six and eight seater minibuses. Going on vacation and taking the necessary suitcases, then this kind of transportation is a solution. In the six seater minibuses fit six passengers and six suitcases plus hand luggage. For the eight person Schiphol Airport taxi the same applies but then for eight people. Do you need more space, you can request an extended taxibus. Also for business transportation, these buses and minivans offer versatility. On request, you can also apply for a VIP bus, which is equipped with dark windows, leather upholstery etc. We always call our customers about 15 minutes after landing at Schiphol while waiting by the taxi stands. After collecting their baggage customers can then call back the taxi driver and continue together. An additional service is to let your guests wait inside at Schiphol at the meeting point of the gate. There is a taxi driver standing with a sign to wait for the guests. We recommend waiting at the meeting point because the gate indicated (arrivals) at Schiphol are often wrong. For example, on the arrival screen it may say arrival hall 2 and then the people often come out of hall 1. So to avoid missing out, we advise using the meeting point and we would like to have a phone number of the customer. This way there is more certainty that everything will run smoothly. For this service we ask 20 euros. You can simply reserve it or when ordering on our website, just to mention it in the comments. Do you need Schiphol Airport taxi transportation for several people at once, we can arrange that for you easily. Regularly we wait and guide people at the airport to our service. During our planning in consultation with you the different arriving flights are combined to ensure economic transportation for you in a Schiphol taxi or minibus. Of course it is also possible to combine different destinations. During the planning, the routes are mapped out in advance as well as possible so that we minimize the number of kilometers driven. Do you have special needs, ask us, and we will see if it is possible to cater for your needs. 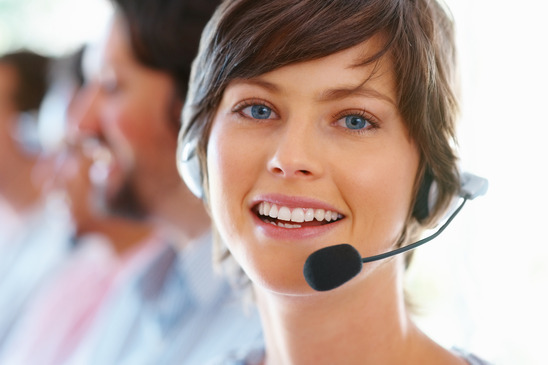 Our service concerns all of the Netherlands and therefore we use fixed rates. Germany, Belgium and further are specific rates available on request. 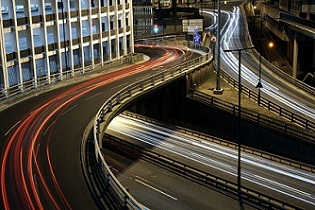 So basically we transport you to and from any location in the Netherlands and abroad. We drive everywhere in the Netherlands but we still featured a piece. A taxi to or from Amsterdam Schiphol is the most common request. Amsterdam is a busy city as its capital, whether for business or for tourism. A taxi from Amsterdam is already from 25 euros, so the cost is not necessary to hurt your pocket. 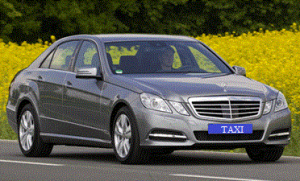 Look at Amsterdam Schiphol Taxi For more information about our service for Amsterdam. Utrecht is centrally located in the Netherlands and for Schiphol Airport taxi it is a frequent destination for business trips. For more information visit our page Airport taxi Utrecht . For Haarlem we have the right transport. Whether you live in the Centre of Haarlem, Schalkwijk or the North of Haarlem we come to you. Find specific information on our Haarlem page. Want to transit to or from Schiphol and pick up more people than there is no problem. When ordering, you can provide the additional addresses in the comments so that we can calculate the route and give you a proposal. In a city like Amsterdam, you can calculate that there will be 5 euros extra per trip per extra address. This is calculated from the farthest location. Another way is to send your question by the contact form, we will give you a quote as soon as possible. According the taxi law it is not required to use a child seat. Children can therefore sit on your lap or use the lap belt. For more information, please read here. By default you will be contacted by our taxi driver about fifteen minutes after landing. You will then immediately have his phone number so you can call him back if when you have picked up your luggage. Our confirmation email also contains our number you can always use if there is something like a modified flight number, or to indicate that you have landed. Would you like us to meet you with a nameplate that is possible for a small fee. The driver will wait at the meeting point with a sign. 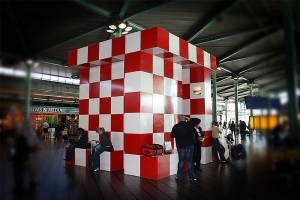 The meeting point is easy to find, just follow the signs at the airport until you see a large cube made up of red and white blocks. When ordering a Schiphol Airport taxi from home, you should consider arriving two hours before the flight departs to be for European flights and three hours for international flights at Schiphol. With us you can still order a Schiphol Airport taxi on the same day. It is true that if you have previously ordered it easier for us to plan. For yourself it is convenient not to book an airport taxi at the last minute. 6.1 Taxi costs are advantageous vs. the train or parking at Schiphol. Of course many people go by train to the airport, or park their cars there. Still, if you’re with a group, the taxi to the airport is not that expensive. Only count once for example a train ticket for 5 people, or parking at the airport with two cars. That’s fairly costly, and is often more expensive than a minibus traveling to Schiphol. Also, it is of course ideal that you are prepared with all your luggage for the arrival at the airport and for your return the driver is already waiting for you. So you see that travel to the airport certainly does not have to be expensive! Schiphol Airport is to be succeeded to be 3rd in 2013 according the Ranking model of Skytrax. Skytrax uses a 5 star rating model for airports and airlines, which is divided into different categories with subcategories. In the diversity is no point forget to achieve a good final verdict. The 1st place went to Singapare Changi Airport and the 2nd place was taken by Incheon International Airport. For the year 2000 when the taxi market was not yet released, the quality of airport taxi transportation on Schiphol airport stand was a lot higher. Since the deregulation of taxis, a part of the airport taxis arranged by additional taxis, does not benefit the customer. Despite supposedly marked taxis, taxi drivers who drive there barely speak Dutch, and do not often take the shortest route. Many of their customers have to pay too much for their ride from Schiphol to Amsterdam. Normally this rate according to the taximeter is around 40 to 50 euros, but often enough they are driven to their destination with a large detour so that the meter finally stands on double that amount! Unfortunately, it is almost impossible to find out who these “Schiphol Taxi” driver are, because there are a few hundred of these free riders around. Taxis in Amsterdam Local transport in Amsterdam with taxi’s are a popular form of transport. Read all about the low and what you can expect in Amsterdam. The drivers and cars, and the transparant fees. Tip for Taxis in Amsterdam Taxi’s are generally quite expensive in the Netherlands. Tranfers to Amsterdam All the information you need about the different kind of transfers to Amsterdam and in the city it self. From bicycle, boat, rental car till limousine taxi, you can find it here. Taxis from JFK airport For your own safety is this information very handy. Read all about how easy it is to get a real good taxi with a fair price to take you to your designation. Choose a taxi or a rental car Whether you choose a taxi for going to Amsterdam or you want to choose a rental car, for both is important to know what to do en what to expect. Transportation in Amsterdam In Amsterdam is everything possible. You can have it all. Go see the city by foot, rent a bike, take a boat or bus and you even can take a taxi boat to see all of it.